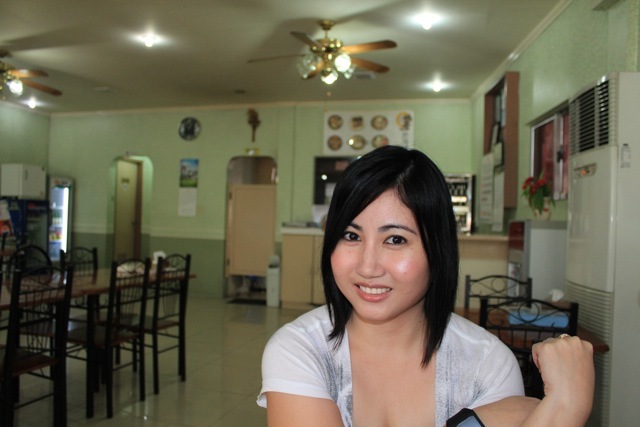 I featured a prelude of the Avon BB Cream here. Intro price at Php 289 for 18g. I'm an Avon Lady myself. Although, I don't really sell, I'm a franchise dealer, hence I could still avail discounts for getting my personal buys. Not to mention that my mother in law is an active FD, with an unbelievably hight credit limit, and in effect we get freebies from her most of the time. 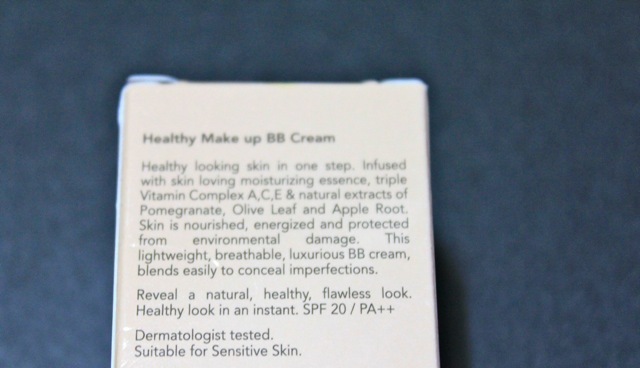 I was elated when I learned that they too decided to join the BB (Blemish Balm) Cream craze. Unfortunately though, I don't think I can make a qualitative and comprehensive review of the product, since I used it only for about three tries (on and off), because much to my disappointment, I'm having minor break outs. Learning from before, I actually introduced one product at a time to my skin care regimen, so I would know where I got it. So sadly, every time I tried to get on with it, I had milia, whiteheads on the side of my nose, and on my cheeks. I saw a lot of potential for it though, too bad it didn't work for me. Anyhow, it might just be specific to me, so I'll still walk you through the product. The Product Description is actually tempting, and convincing, because of those healthy promises. And Avon is known to be suitable for Asian Skins. 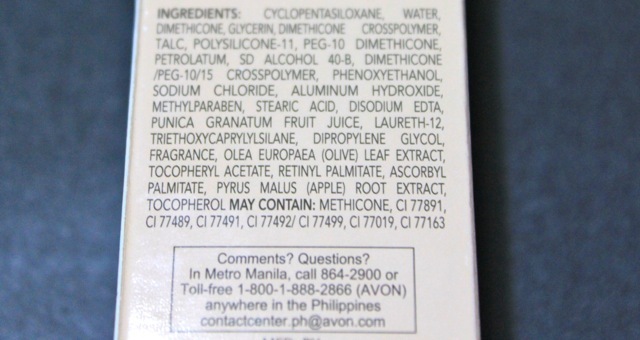 I'm not an expert, but these are the listed ingredients of the Avon BB cream. 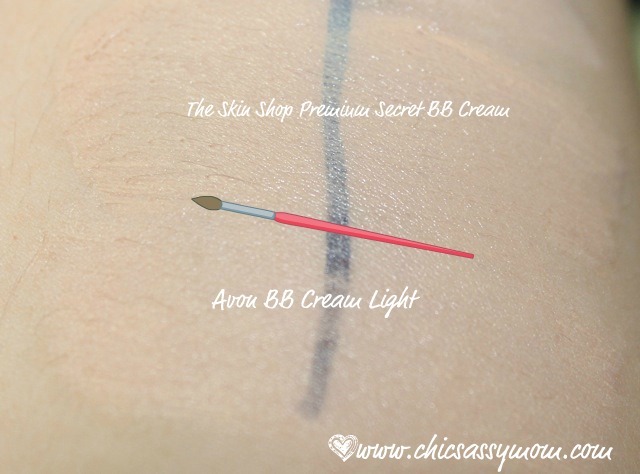 Swatches of Avon BB Cream vs. 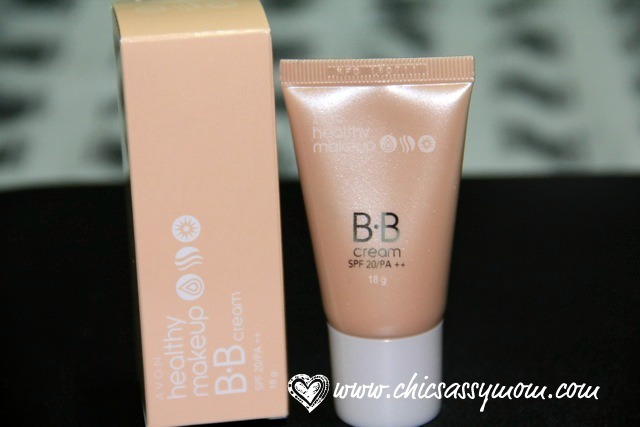 The Skin Shop Premium Secret BB Cream. Forgive my liquid eyeliner, I think it smudged, and was not yet dried enough. But yes, the BB cream can provide light to medium coverage. I'll quickly run through my primary likes of the product. It's actually very sheer when applied, it leaves a lightweight/no greasy feel. It's easy to blend. The light shade is appropriate for my skin tone. I don't know if it's a listed benefit, but it sort of has of sebum control effect. The packaging is handy, great for on the go applications. It has two shades available. I'm wearing Avon BB Cream light shade. It's still a bit pricey with its SRP regular price at Php 399. Even if I did't have, I'll still be a bit selected on using it because of relatively low SPF 20/PA ++ level offering. Overall, again, I'm saying that I still encouraged you to try it out for yourself, especially if you have a special tendre for Avon, like yours truly. It might be totally a different experience with you. Hey, this is new. Actually it's a bit cheaper than the imported brands. I use Etude House and it's priced 7++.00 to 9++.00 per tube. Youre right, it has low SPF though. most cosmetic brands are joining the BB craze to stay competitive and this one is cheap! You're such a pretty mommy Des. I'll head over to your giveaway. Thanks for the tips about going to Las Vegas,huh, one month pa can't wait. I saw your FB photos in Cali, we're going to San Diego in November, you just gave me some ideas where to go looking at your pictures. i would like to try this,does it stay long ?